Take On Oliver’s Journey To Defeat The Evil Wizard Shadar In Ni No Kuni! Ni No Kuni, otherwise known as ‘Another World’, ‘The Other World’, and even ‘Second Country’ is a role playing video game that is famous for its animation, visual graphics and western and eastern style Japanese gameplay. Originally developed for Nintendo, it was soon adapted for the PlayStation platform as well. 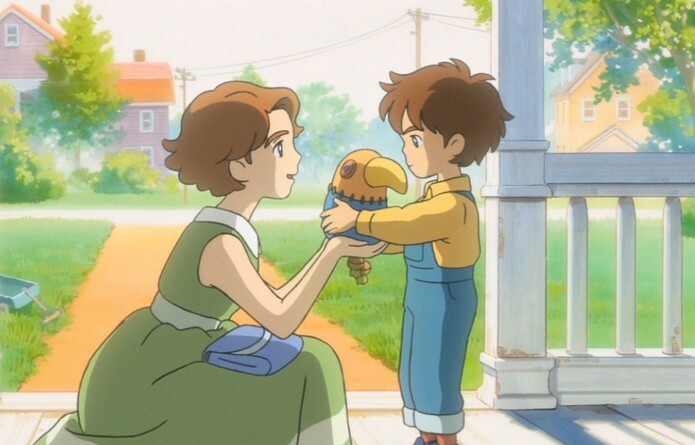 The main character and protagonist in Ni No Kuni is Oliver. In the game, the story follows a boy named Oliver who lives in a town named “Motorville”. His friend Philip has just designed a new kind of vehicle and Oliver decides to try it. However, while trying the new transport machine out, Oliver almost drowns in the process. His life is saved by his mother, but the rescue affects her health. And soon after, Oliver’s mother, named Allie, dies of a heart problem. Drowning in grief, Oliver mourns his mother and cries bitterly. But when his grief-ridden tears fall on his doll, which was a gift from his mother, the doll comes to life and reveals himself to Oliver as a fairy that goes by the name of Drippy. Drippy then tells Oliver that he (Oliver) is actually from another world, and that each person in this world has a “soul mate” or linked person in the other world. She tells him that his late mother even looked a lot like a powerful sage in the other world who was named Alicia. However, in this other world, is a powerful and evil wizard named Shadar who has taken control of this other world. And he has also captured the great sage Alicia in this world. So Oliver, considering the logic of “soul mates” as Drippy had explained it to him, decides to travel to this other world and rescue the great sage Alicia, as it stands to reason that this Alicia could very well be his mother’s soul mate. He hopes that rescuing Alicia from Shadar will help bring Allie back to his own world as a result. And thus, Oliver journeys forth to this ‘Other World’ with Drippy. When Oliver reaches the other world, he realizes that he has gained magical powers, and uses them on his journey. The first thing he finds in the other world is a number of heart-broken (and we mean that literally!) people who have all been victims of the evil Shadar in one way or another. Oliver helps these people by using his new magical skill to heal those broken hearts – by restoring those pieces of their broken hearts back to their original selves. That task done, Oliver next sets forth to find the four great sages in this world who may be able to help him defeat Shadar and consequently save Alicia (as well as his mother). On the way, he meets a girl named Esther, who turns out to be the daughter of one the four great sages. Following Esther, Oliver also meets a thief named Swaine. Swaine, at first, steals an important item from Oliver and Esther, but finally switches to helping them on their journey and quest. They find the sages, and with their help, they learn of a powerful wand called “Mornstar”, which just might be powerful enough to defeat Shadar where all else has failed. However, just as their hope rises, it falls again when they learn that Shadar, foreseeing this eventuality, had already destroyed this wand recently. However, a short while later, due to the actions of an unknown stranger, they find themselves years in to the past. And thus, they are able to retrieve “Mornstar”.